Paper manufacturing produces greenhouse gases, leading to deforestation and global warming. Recycling can offset some of the environmental impacts, but not only. Inks and toners contain volatile compounds and non-renewable substances that are harmful to the environment. Paper takes-up space. It is stored or graded, accumulated faster than it can be sorted and organized. In industries that have legal constraints with long periods of storage, costs are multiplied. Digitizing documents helps to store all documents on a local server or in the cloud. Digital storage requires much less space than physical recorded archive spaces. Time spent sorting, organizing and searching paper documents could be spent on more productive tasks. Benefits of document builder processing for back-office document processes are important. Using a document viewing system can help to find files in a click; much faster than the regular painstaking manual process of searching for a specific file in a forgotten folder. Employees can use this time saving on more valuable topics. Improve mobility: work everywhere instantly - Anywhere, Any device, Anytime. One-click viewing of PDF files, over 300 image formats, videos, CAD/CAM/CAE plans and all versions of Microsoft Office documents, e-mails and Zip files. Accelerate Navigation through documents within all of your applications from any browser. How much will document process automation change workforce productivity and collaboration? 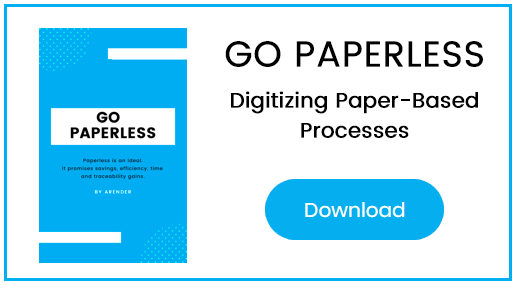 Digitized document processes can handle a much larger volume of records than traditional paper processes in the same amount of time. An easy-to-use repository will then provide real-time access to documents months and years after they are released. Digitized document processes also reduce the risk of error : even if you make a mistake, they allow to keep and trace your actions via log analysis. Employee productivity gains become particularly useful for regulatory audits and repetitive large-scale tasks such as back-office work - client file processing - internal process processing - external expense reimbursement. The viewer allows to organize, merge or split in a single interface, multiple contents: scanned documents, captures with the help of a camera or smartphone, import of any type of files (.docx, .pdf, pictures, videos). Many commonly used applications, such as Microsoft Office and Adobe Acrobat, integrate with document management systems and have native plug-ins that allow you to categorize your document into your content management system with one click. Physical documents are difficult to track - paper can be lost, misclassified or destroyed without anyone noticing. Their access are difficult to control : printing and copying sensitive files is easy. The viewer has advanced security features to address these challenges. System administrators can configure granular permissions, assign permissions at the document level - for example, settings based on the document type - at the user level - for example, function-based settings of the person - or at the system level - for example, the overall security of all data -. The security benefits of a paperless workplace go beyond access rights. The implementation of document management software also enables organizations to take advantage of electronic signatures, write confidential information, create audit trails. Take a few minutes of reading to understand how to go paperless with a viewer.